The arch is a very important part of the foot. it facilitates the transfer of weight from the heel to the toes. Arch pain is a common occurrence that is usually associated with inflammation of the tissues within the long arch of the foot, resulting in pain with walking and even the simplest movements. A full biomechanical assessment is carried out by our experienced podiatrists to determine the cause of your arch pain, as well as the most appropriate treatment modalities. Corns and calluses are areas of thickened skin that form due to increased pressure, commonly on the balls of the feet, heels or between the toes. The difference between a corn and a callus is that a corn is often smaller and has a core of hard skin that is usually painful with direct pressure. Our Podiatrists are able to remove the thickened skin of a corn or callus, as well as the central core of a corn. This is often combined with padding to offload the area and provide immediate relief from the discomfort associated with the corn and / or callus. The ball of your foot is subjected to a lot of pressure when you are walking and exercising. There are many structures in the ball of the foot that can be injured and cause you pain when weight-bearing. The most common causes of pain in the ball of your foot is a stress fracture of a metatarsal, inflammation of a nerve or a tear or rupture of the ligament under one of the toe joints. Each of these problems are treated differently and therefore it is important that you have your foot pain assessed by our team of podiatrists to ensure that you get an accurate diagnosis and the correct treatment to make a speedy recovery. Fungal infection of the nails and skin is very common. An infected nail will look discoloured (yellow and white) and thickened. The nail often becomes rough and crumbly, or separates from the nail bed. There is usually no pain associated with an infected nail bed. The treatment of a fungal nail is challenging because the infection is embedded within the nail bed and is difficult to reach. Our podiatrists will assess your toe nail and identity most effective treatment plan. Treatment may include filing of the nail, collecting a nail sample and topical or oral antifungal treatment. Tinea (or Athletes foot) is a fungal infection of the skin that causes scaling, flaking and itching of the affected areas. Blisters and cracks may also appear, exposing raw tissue and leading to pain and discomfort. It is typically transmitted in moist environments where people walk barefoot, such as showers and communal change-rooms. It can also be transmitted by sharing footwear with an infected person. Once our podiatrists diagnoses the tinea on the feet then we will recommend a topical treatment and also discuss ways of preventing re-infection. The most common cause of heel pain in adults is a condition called plantar fasciitis. This is caused by excessive stress through the plantar fascia, which is a ligament that runs along the sole of the foot; from the heel bone to the toes. Common causes of excessive stress on the plantar fascia are excessively flat or high arches, over-training, tight calf muscles, weight gain and/or footwear that is unsupportive or worn out. As there are many cause of heel pain, our podiatrists are experienced and will be able to provide a professional opinion on your heel pain to make sure you are treating it correctly. An ingrown toenail occurs when a spike of nail pierces the flesh, causing the skin around the nail to become red, inflamed, painful and often infected. Ingrown toenails are caused by poor trimming technique, stubbing your toe (common with football or soccer players) or wearing shoes that are too tight or too narrow. Our podiatrists will be able to provide immediate relief by removing the nail spike and provide further advice regarding prevention of ingrown toenails in the future. There are a number of different causes of knee pain; one cause being feet that roll inwards too much, which is known as excessive pronation. Our podiatrists will conduct a comprehensive biomechanical assessment to determine the factors causing your pain. Treatment may include the use of orthotics to correct the posture of the feet, which will help to realign the lower limb and reduce the knee pain as well strengthening of the surrounding muscles. Warts on the soles of the feet are called ‘plantar warts’. These warts are flat because of the pressure on the soles of the feet, which causes the wart to be pushed inwards. Warts are caused by the human-papilloma virus. Infection will most likely occur from walking on surfaces that are wet, such as showers or pool edges. Our Podiatrists use one of the latest and most effective wart treatments available, “Cantharone” which is painless to apply and a great choice for use on children. Bunions, also referred to as hallux abducto valgus, is a progressive disorder. Bunions are often caused through genetic links and exacerbated through footwear. Bunions refer to the bony growth on the outside of the big toe, which results in the big toe moving out of place and moving towards the other toes. Bunions can lead to a number of other problems such as corns, calluses, bursitis, plantar plate tears and shoe fitting difficulties. Our podiatrists can offer you a range of treatment options to help prevent the progression of the bunion and alleviate pain. Pain, swelling, redness and bruising can be signs of a stress fracture. X-rays and other studies are used to diagnose the stress fracture. Possible treatments include rest and possible immobilisation of the foot. In some cases, surgery may be required to stabilise the stress fracture or to repair a stress fracture that has progressed to a fracture. Tendons are thick cords that join your muscles to your bones. When these tendons become irritated or inflamed, it is called tendinitis. This condition causes acute pain and tenderness, making it difficult to move the affected joint. When treated early, tendinitis usually resolves quickly. For some people, it can recur and become a chronic or long-term problem. If repetitive movements or overuse led to your tendinitis, you should change those behaviours to reduce your risk of developing it again. A neuroma (often referred to as a mortons neuroma) is a very painful condition involving the thickening of a nerve in your foot. This commonly occurs between the third and fourth long bones in your foot (metatarsals) and can cause a sharp burning or tingling sensation that can radiate into the toe. Morton’s neuroma can occur in response to irritation, pressure or injury to one of the nerves that lead to your toes. Our podiatrists treat neuroma’s frequently – they can provide a range of treatment options from footwear changes, offloading padding through to orthotics. Typically beginning as a minor inconvenience, dry or cracked heels can become painful or even infected if left untreated. Cracked heels are caused by cracking or splitting of the skin when the skin on the bottom of the heel becomes hard and too dry. The cause of cracked heels is generally multifactorial. Contributing factors can include; a lack of moisture, walking barefoot, nutritional deficiency, poor footwear genetics, prolonged standing, ageing skin and improper footwear. Should you need to beautify your feet or find relief from painful fissures our podiatrists will be able to provide you with instant relief in combination with a tailored treatment or maintenance plan. Shin splints are a common cause on pain at the front of the leg. 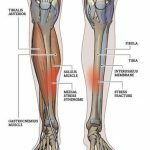 The associated pain is often described as a “Bursting or dull throbbing along the front of the shin that is aggravated by walking or running and that settles as the person warms up into their activity”. The cause of shin pain can include calf muscle tightness, biomechanics abnormalities, such as excessive pronation or inappropriate footwear or training errors. Our podiatrists can provide a range of treatment options which are tailored to address the cause on your shin pain. A Bursae is a fluid filled sac that the body produces naturally for protection. Many times it can become inflamed and painful in the foot due to an overload of pressure. Bursitis can occur in the toe joints, the side of the foot, heel or ankle. Acute bursitis will often present as swollen, hot and tender to tough. Patients can experience pain with their first step in the morning or the sensation of standing on a pebble. The cause of bursitis can include poor fitting footwear, excessive pronation, arthritis or trauma. Our podiatrists will firstly assess the cause of your bursitis. Ws will then adapt measures to offload the pressure through this area and ensure you are pain free. A blister is a small pocket of fluid in the upper skin layers and is a common response to injury or friction. Blisters are often annoying, painful, or uncomfortable. The first sign of a blister will be redness over the skin, possibly at the back of the heel, the instep or toes. This is known as a “hot spot” and is the early warning sign of a one forming. The best treatment for blister is prevention. Our podiatrists will be able to advise you on how to prevent your blisters forming and how to treat them once painful. Prevention techniques may include footwear change, taping and/or padding techniques. Burning feet — the sensation that your feet are painfully hot, can be mild or severe. Commonly, this sensation is usually experienced at night and felt by people who suffer from diabetes and/or nerve damage in the legs, also called neuropathy. Others cause include prolonged standing, forefoot conditions (bursitis, neuroma), hot and sweaty feet and circulations disorders. The exact cause of the pain needs to established, thus ensuring the correct treatment. Treatment can include orthoses to reduce the load of pressure through the affected area, a medical referral to a specialist (neurologist, arthritis specialist) and/or blood tests.